Hello anglers and welcome to another Daiwa reel review. Actually 3 reels. Instead of writing separate reviews for each of the 3 Daiwa Saltiga reels, you’ll find full coverage in this article. The three Daiwa Saltiga reels in question are the star drag series, the 2 speed lever drag models, and the hyper speed lever drag designs. They are all strong reels when put to their proper use on the ocean. 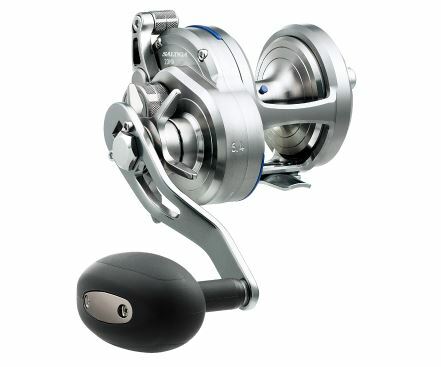 Product: Daiwa Saltiga Star Drag, 2 Speed Lever Drag, & Hyper Speed Reels. Overall Ranking: 89 out of 100 as a whole series. Individual rankings in the final opinion. Price: All series lie on the high side of the middle price range. The similarity between Daiwa Saltiga reel types is noticeable, with their single piece aluminum frames. These reels are small but fast. Even the 2 speed in high gear is faster than most reels you look at or use. Then there’s the hyper speed model which keeps the lever drag, but loses the 2 speed option. Dive right in and discover the similarities and differences of Daiwa Saltiga reels. You’ll determine which reel is best for your purposes along the way. 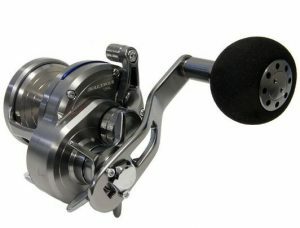 Daiwa Saltiga Star Drag Reel. The Saltiga star drag reels are available in 13 different models. Two of the lighter reels are for left hand fishermen. Unfortunately, Daiwa only offers these in size 10 and 15 reels. Here’s the listing of all Daiwa Saltiga star drag models. Note that the L at the end is for left hand reels and the H stands for high speed. 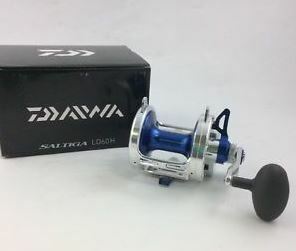 Daiwa Saltiga 2 Speed Lever Drag Reel. You’ll find 6 lever drag 2 speed Saltiga models to choose from, all in increasing size. The line starts with a 20 size reel and tops out at 60. Take a look at each reel by model number. The reel sizes are in the numbers and the letters are easy to decipher. SA for Saltiga, LD for lever drag, and designation as a 2 speed reel. Daiwa Saltiga Hyper Speed Lever Drag Reel. The hyper speed models are just that. Faster than the other Saltiga reels, Daiwa makes them in 7 models. The reels are all different sizes with a bit of an exception on the 60 model. Saltiga 60 reels come standard issue and also in a DogFight model. The drag is less on the DogFight, although it claims to be a sailfish special. I’ll update the reason why when I get more info. Here’s the models for your distinction. 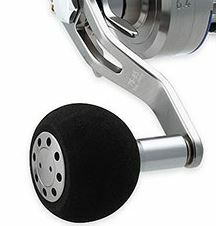 Saltiga star drag reels have a 9 ball bearing system. The main drive bearing uses Daiwa’s mag seal oil and an anti reverse bearing holds the spool from spinning backwards in gear. 7 other stainless steel bearings assist with the rotation of these reels. Left Hand Fishing In The Smaller Saltiga Star Drag Reels. The lightest 10 and 15 size models weight the same at 14.3 ounces. 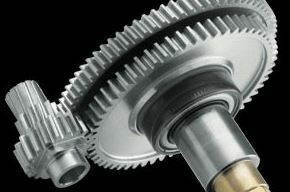 Gear ratio is faster in the high speed versions, offering 6.4:1 versus 5.1:1 in standard models. The heavier models weigh more, starting with the 20 at 16.4 ounces and going as high as 22.4 ounces in the largest reel. Heavier star drag models all offer the high speed gearing with lower speed options in 40 and 50 size reels. Line ratings on the reels begin with 220 yards of 12 pound mono (330/30 braid) and go up to 220 yards of 50 pound mono (630/50 braid). Maximum drag capacities on the star drag models are 17.6 pounds from sizes 10 -30, and 25 pounds in size 35 and heavier reels. Besides the obvious lever drag and 2 gears, there are some differences between lever and star drag reels. Most noticeable is the lack of a mag sealed bearing in 2 speed lever drag models. They use 6 stainless steel bearings instead of the 9 star drag models carry. Drop Into Low Gear With Saltiga 2 Speeds. Lever drag 2 speed Saltigas also do away with the anti reverse bearing in favor of a ratcheting anti reverse (dog system). The final striking difference is that Saltiga 2 speed reels start at size 20, doing away with 10 and 15 size options. For all aluminum reels with extra gearing, Saltiga 2 speeds don’t weigh that much. The lightest 20 size model sits in your hand at 17.6 ounces and the heaviest weighs a mere 36 ounces. Gear ratios are all the same in these reels except in the largest 60 size model. You’ll find high speeds of 6.3:1 and low gear ratio of 3.1:1. The largest 60 comes with 5.2:1 and 2.3:1 in low gear. Line capacities start at 420 yards of 12 pound mono (260/40 braid) and get up to 340 yards of 50 pound mono (550/80 braid). The largest 60 model is the only model with a rating to hold 80 pound braid. All other models max at 50. The maximum drag on Saltiga 2 speed reels in strike setting ranges between 13.2 and 30 pounds, from light to heavy size models. Full drag ranges from 26 to 45 pounds. Much higher than star drag reels. Daiwa Saltiga Hyper Speed reels are lever drag reels that go back to single speed but give a high gear ratio. These reels use 6 stainless steel bearings, just like 2 speed versions. Their weights range from 16.2 to 35 ounces which also closely match 2 speed reels. Hyper Speed Saltigas Are The Race Cars Of Single Speed Lever Drag Reels. The higher gear ratio goes all the way up as fast as 7.3:1 in the 20 and 30 size models. 35, 40, and 50 size reels drop a little at 7.1:1 and the two 60 models go down to 6.1:1. Line capacity and size on Saltiga Hyper Speed reels start at 420 yards of 12 pound mono (260/40 braid). They get as high as (and far) as 340 yards of 50 pound mono (400/100 braid). Daiwa Saltiga Hyper Speed reels have max drags that range from 13.2 to 30 pounds in strike setting or 26 to 45 pounds full. A Special Magnetic Oil Seals These Bearings And Protects The Inner Reel. 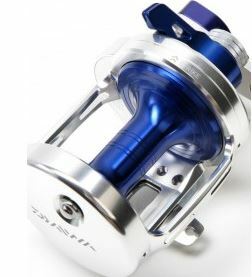 The Mag Seal Bearing on Daiwa Saltiga star drag reels protects all inner gears and components from saltwater elements. The special oil inside the shielded bearing is impervious to saltwater. The design of the reel places this bearing in position to fill the gaps where saltwater can enter. Note: Mag Seal bearings come only on the smaller 10 and 15 size Daiwa Saltiga star drag reels. 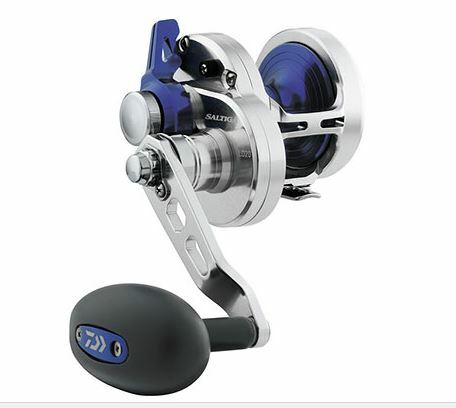 Daiwa Saltiga star drag reel design includes a one piece frame and sideplate. High strength yet light grade aluminum make up these reels which prevents twist under heavy loads. This one piece frame allows anglers to crank on fish with great torque for such a small reel. The gears on Saltiga star drag reels are smooth as molasses. Many reels give a distinguishable click when you’re in gear and retrieving. Not so with Saltiga star drag reels which retrieve effortlessly and silently. 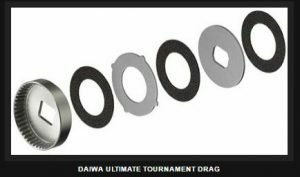 The Ultimate Tournament Drag is Daiwa’s newest sytem. It uses carbon fiber discs that they impregnate with a special oil. The new washers need much less force to to engage, but what does this mean to anglers? It means you can set the drag on a much stronger setting without fear of your line snapping before the drag kicks in. The oil borne washers also last up to 30 times longer than previous carbon fiber discs. Note: Only size 10 and 15 Saltiga star drag reels use the UTD. Larger models use the ATD or Automatic Tournament Drag. Details following below. 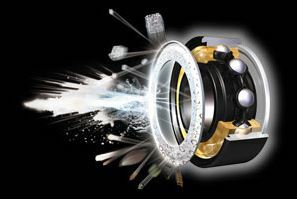 Daiwa Corrosive Resistant Ball Bearings Last Up To 12 Times Longer. All Saltiga star drag reels employ a 9 bearing system, but only the 10 and 15 models have the Mag Seal bearing. These lighter reels use a bearing for anti reverse and the last 7 support the gear and spool. All bearings have shields and corrosion resistant properties. 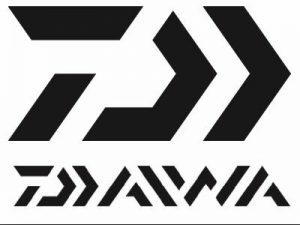 Daiwa names them CRBB. Corrosion Resistant Ball Bearings. Size 10 & 15 Use This Round EVA Knob. 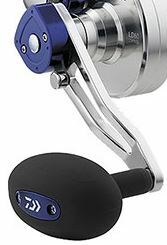 Handles on Saltiga star drag reels are the same on all models. They have their own design of cranking arm with a curve that gives the same effect. Size 10 and 15 models use a knob that’s more round than oval and place EVA foam around it for grip. The round knobs are perfect for these smaller size reels and the EVA foam for a grip works well. Time will have an effect on the foam and make intermittent replacement a neccessity. Digital Machining Makes Precision Gearing And A Stronger Contact. Daiwa engineers put countless hours into mastering digital gear systems. The resulting technology improves the surface contact of each tooth with precision machining. Gears match up perfectly which leads to a smoother retrieve and a more efficient durable product. The ATD on heavier 20-50 Saltiga star drag reels contains the same oil bathed washers as the Ultimate Tournament Drag. The difference comes in the way the ATD handles quick bursts by larger fish. This drag has a special design which allows it to adjust to sudden changes in pressure. This eliminates any pulsing of the drag if a fish is thumping with its head down. Saltiga 20-50 size star drag reels also use 9 bearings, but they replace the Mag Seal bearing with a CRBB making 8 in total. The last one is an anti reverse roller bearing. Spool Clicker On 20 And Larger Star Drag Models. 20-50 size Saltiga star drag reels come with a spool clicker that smaller reels don’t have. Set this guy on when you’re trolling or if you’re fishing with a set rod. The second a fish picks up your line it starts screaming, and the adrenaline kicks in. 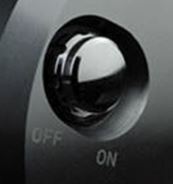 The soft grip knob is larger and has a longer oval shape that gives a better grip for force. These knobs do away with the EVA foam of smaller models and use a touch grip rubber instead. This material is more durable than EVA foam and has an anti sweat property. 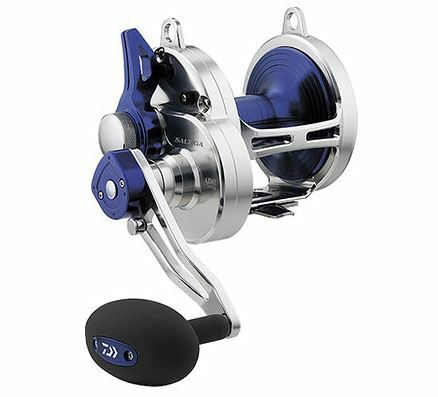 Daiwa Saltiga 2 speed lever drag reels do keep some of the features present in the star drag series. They use the same 1 piece frame and sideplate of the star drag reels. 2 speed Saltigas use the touch grip knob of the larger 20-50 model star drag reels and the Ultimate Tournament Drag of the smaller reels. Saltiga 2 speed reels work on a six bearing system. There is no Mag Seal bearing or anti reverse roller bearing. 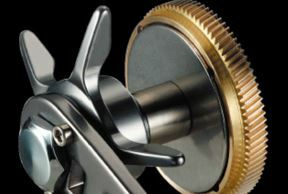 Daiwa chooses to use a ratcheting anti reverse which allows them to eliminate the roller bearing. 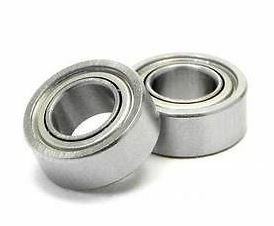 All 6 bearings are super corrosion resistant. Extra Large Helical Cut Gears. Instead of having gears with straight teeth that fit right inside one another, helical cut gears have angles. When the teeth of helical cut gears meet, they start at one point and travel across the entire surface before turning to the next set. This creates extra power when reeling which increases even more due to super large gears. Example Of Centrifugal Brake Tabs. These brake systems use tabs that engage when the spool is in high speed. The tabs extend and make contact with the spool which slows it down. As the spool slows, the tabs lose pressure. This lets the spool continue to spin and slow at a pace instead of coming to an abrupt stop. Its most effective use is to minimize backlash at the beginning of a cast. Instead of using a one way roller bearing, ratcheting anti reverse systems use one way teeth. The teeth engage when the reel is in gear and move forward in a fluid motion. Try to go backwards and just like a ratchet, the teeth catch and hold. Precision Settings On Saltiga Lever Drags. The lever drag calls for a certain amount of resistance in strike or full setting. You can adjust the lever to different settings as you wish. Perhaps the max strike resistance is more than you want for the type of fish you’re after. Fine tune it and drop it a few pounds to better serve your purpose. 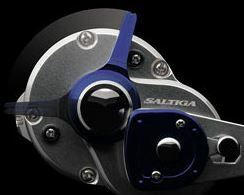 Saltiga 2 speed reels go away from the curved arm of star drag models and use a true cranking arm. They keep the longer oval handle with the soft touch rubber grip you find on the larger star drag models. The Daiwa Saltiga Hyper Speed models are lever drag reels. They abandon the hi and low gearing and replace it with an extremely fast 1 speed gear. There are a few features that Daiwa brings over from the star and 2 speed models. The Daiwa Saltiga Hyper Speed SALD60H. Hyper Speed models use the same 6 corrosion resistant ball bearings that 2 speed models use, but you won’t find the ratcheting anti reverse. Instead you’ll find a return to an anti reverse roller bearing like you see in the star drag models. The lever drag has both strike and full settings that fine tune, same as the 2 speed models. These reels use the Ultimate Tournament Drag. They also have 1 piece frames and sideplates. Gears in the Hyper Speed reels are as large as possible and helical cut, just like the 2 speeds. They have the same handle to knob combination as their 2 speed counterparts and bring centrifugal casting brakes over as well. There are times when you need to rip iron through the water to entice fish into action. High speed gear ratios on the Hyper Speed Saltiga models do exactly that. Even the largest 60H and 60H Dog Fight models have a gear ratio of 6.1:1. The smaller 20 and 30 size Hyper Speed reels crank at a ratio of 7.3:1. You don’t lose much with the 35, 40, or 50 models. They share a 7.1:1 gear ratio and crank in 52.6 inches of line per rotation of the handle. Infinite Anti Reverse Roller Bearing. The Infinite Anti Reverse uses a high impact resistant one way roller bearing. Anglers favor one way roller bearings due to their instant set ability. Reels that use these types of anti reverse systems have zero back play when in gear. They are not as strong as ratcheting gears who’s teeth must slip back and catch. There’s a trade off here when reels use one or the other. Instant setting with a reduction in strength or back play with a stronger system. Fortunately, Daiwa indicates a Dual-System on Saltiga Hyper Speed reels which means they have both. You obviously have more than a few choices of reels in the Daiwa Saltiga line. There’s benefits that come with each series. One advantage that covers all models is their small size yet powerful abilities. 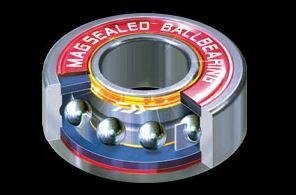 The bearing systems are superb on all models, and offer durability and saltwater protection. Anglers have a few choices in smaller inshore reels with the star drag models. The star drag reels are fast and perfect for surface iron fishing. They cast well and if you move up to a size 35 or higher model, you’ll get the 25 pound max drag instead of 17.6. A big difference. The obvious benefit of 2 speed lever drag reels is the ability to drop into low when the battle with heavy fish meets a stalemate. You can slowly but surely begin to bring fish in. Daiwa Saltiga reels are compact, but offer a frame solid enough to make use of 2 speeds. Finally, there’s the Hyper Speed models. These lever drag reels work a surface or vertical jig with incredible flurries of speed. Often times that’s what it takes to grab a yellowtail’s attention. There aren’t too many complaints about Saltiga reels when put to the right use. 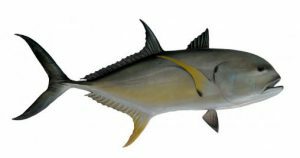 While strong, they don’t specialize in large species handling like the Okuma Makaira or Shimano Tiagra. That said, the larger size 2 speed Saltigas can take a lot of fish. Price may be a con for some anglers. Daiwa Saltiga reels are worth the money but they don’t come cheap. More affordable reels like the Penn Fathom are worth a close inspection if you’re not liking the budget of the Saltiga. The final concern that shows in Daiwa Saltiga Reels is they max out at 50 pound braid. Exceptions are the 2 speed 60 size model, the Hyper Speed 60 size model, and the Hyper Speed Dog Fight model. What Angler Benefits From Daiwa Saltiga Reels The Most? Perhaps the better question is, which angler would not benefit from using Daiwa Saltiga reels? Fly fishermen maybe? Are you a freshwater bass fisherman? Check out the small star drag or hyper speed models for those lunkers. Of course, ocean fishing is what Saltiga is all about and it’s undeniable how well these reels perform. Comments abound in the physical and digital world, saying that it’s hard to find anything to belittle Daiwa Saltiga reels. Daiwa reels come with a 1 year manufacturer’s warranty. Should you experience issues with your reel after the warranty or if Daiwa finds misuse to be the reason for failure, they charge a fair price for service. Daiwa service centers exist around the world and they provide schematics of all reels on their website. Daiwa Saltiga Star Drag Reels: 89 out of 100. 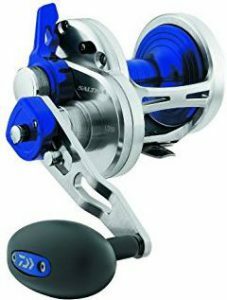 Saltiga 2 Speed Lever Drag Reels: 92 out of 100. Daiwa Saltiga Hyper Speed Reels: 93 out of 100. Compact in nature and extremely powerful, Daiwa Saltiga reels make a fine addition to any collection of fishing gear. The price may scare off newer anglers that aren’t yet ready to make that kind of a commitment to the sport. Saltwater fishermen (and women) that are all in with offshore fishing can make this purchase in absolute confidence. Daiwa Saltiga reels endure the test of time, perform above expectations, and reap the rewards of the ocean. Have a question or a comment about Daiwa Saltiga reels? Drop a line (a proverbial one) in the comment box below. Tight lines until next time…. – Need to update the reference to Penn Fathom as a cast aluminum frame, not graphite! You fixed it elsewhere. – You make no mention of the “spool lock” feature of the small Saltiga star drags. These reels are great for jigging and bait fishing nearshore bottom dwellers, and the spool lock is really helpful when you are snagged and need to break off a leader. These small reels are the smoothest in the industry in my opinion, with the 15HA the perfect size and capacity (filled with 40lb braid and short 15-30 lb flouro top shot) for 90% of the fish we catch out of San Diego. Marco I made the change about the Fathom. Thanks for pointing it out. Hopefully that’s the last place I have to fix it, but I’m thankful you let me know. As for the Spool Lock feature on the small Saltiga Star models, that is indeed a helpful tool. Careful though not to throw out your back like I did trying to break an anglers line off the rocks. I wasn’t aware of that feature so thanks for pointing it out. Geoff. Off to answer your other comments. Hey Paul. I looked around for videos and articles without finding much either. The obvious difference besides the look and the added top crossbar is the drag. It’s especially suited for sailfish tournament style fishing at 22 pounds strike and 30 max. The regular size 60 lever drag has more drag. I’ll see if I can find out anything else about it, and why those specs are so specific. Geoff.